This entry was posted in Spinning and tagged Tour de Fleece. Bookmark the permalink. Did you start out having any specific plans for the yarn you were spinning ? Congratulations on your hard work and beautiful yarns! I’m in love with the polwarth pink elephant — name and color. 🙂 It will make a beautiful shawl. I’m in love with it, too. 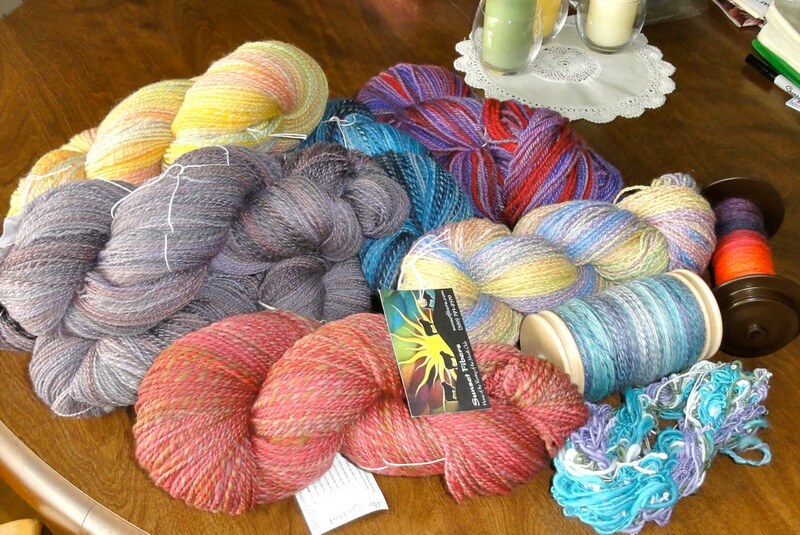 Beautiful yarns – now you’ve just got to figure out what to use them for! Wow, look what you did! That is some gorgeous yarn there; congrats!